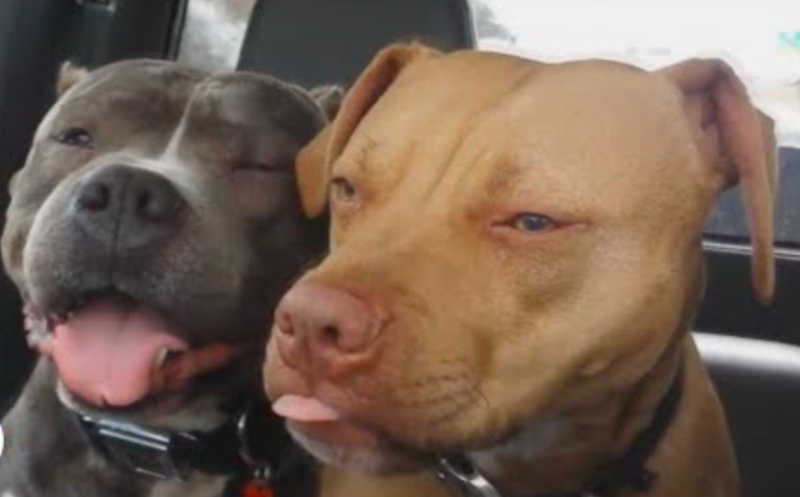 These two pit bulls were labeled “aggressive” and were scheduled to be euthanized because of it. The shelter said that one of them was also “dog aggressive,” and should be an only dog because he doesn’t get along with others. But one man, named Alex Knappenberger, saw them and decided to give both of them a chance. The dog who was said to be aggressive wound up being so sweet, and the dog who was said to hate other dogs, fits right in with his pack. Now both of them are adopted and a part of the same family. They love each other and get along so great! Alex Knappenberger has always loved pit bulls and now has a growing family of them. His first pit bulls are named Bruce, Dexter and Lucy. And now he has these two as well. The relationship these two adopted pit bulls developed with Bruce, Dexter and Lucy is absolutely heartwarming. They have all come to love and understand each other. If it weren’t for Knappenberger, these dogs would have been euthanized. The shelter didn’t want to give them a chance, and clearly didn’t get to know them that well since they were very wrong about each of their personalities. Thankfully, this kind-hearted man decided to give them a second chance and show them what life should be like. They now receive all the love and care in the world, and won’t ever have to worry about being lonely ever again! Unfortunately, pit bulls get a bad rap. It isn’t the breed that makes a dog act the way it does. The majority of the time it is the way the dog is raised and its surroundings. 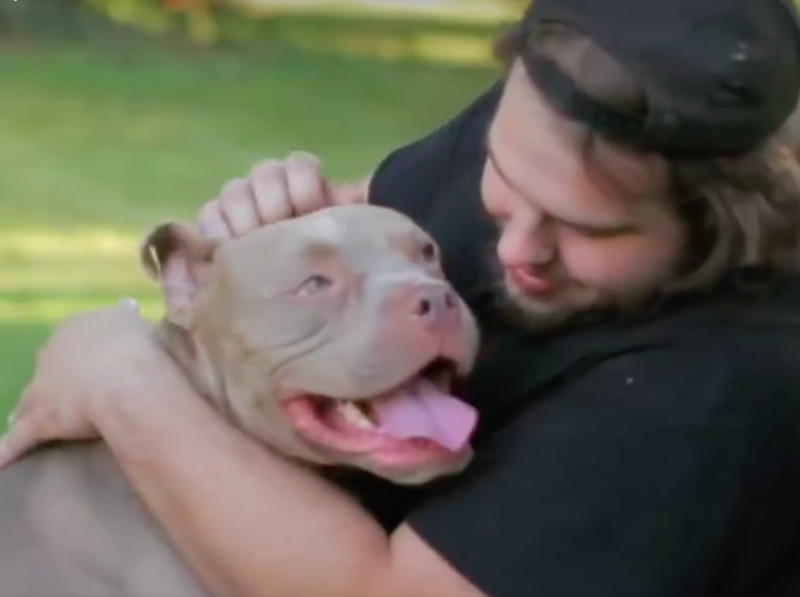 Luckily, these pups will get showered with unconditional love for the rest of their lives.